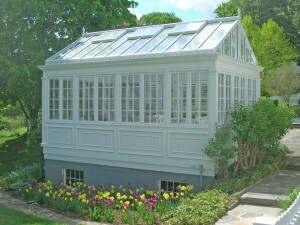 The new homeowner wanted to resurrect the old pool house and pool surrounded by flagstone and stone walls on the estate. 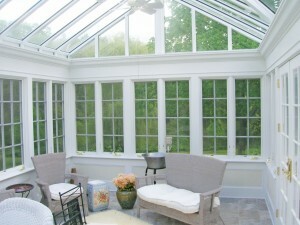 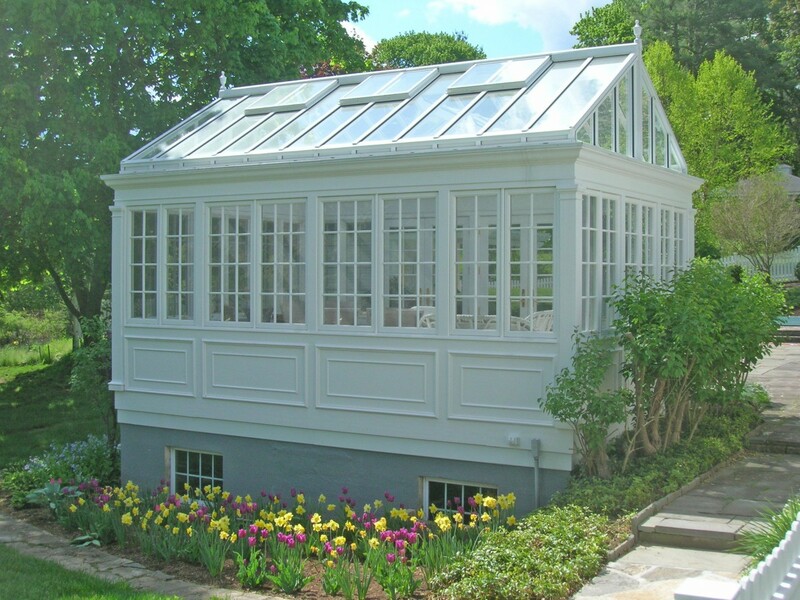 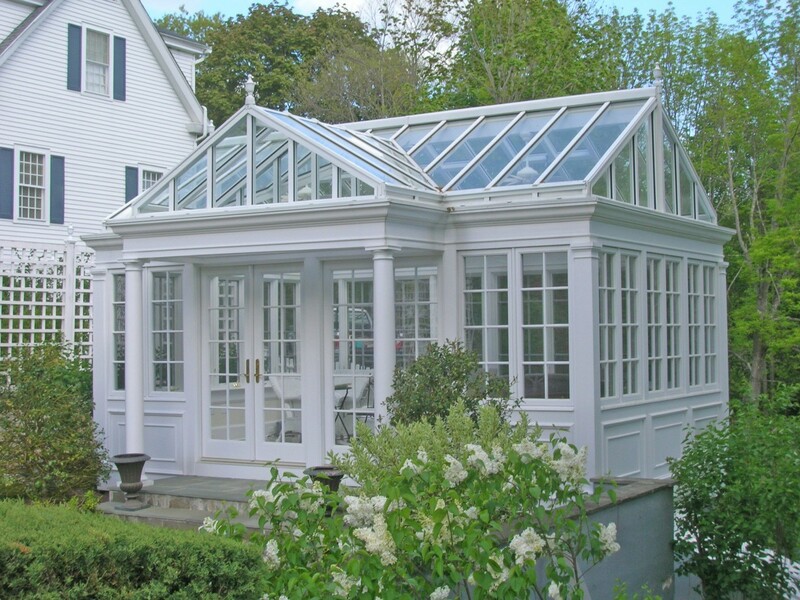 So in keeping with the style of the house a freestanding pool house conservatory, gable roofed with a reverse gable entry was designed. 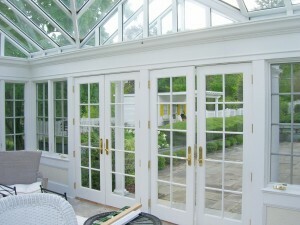 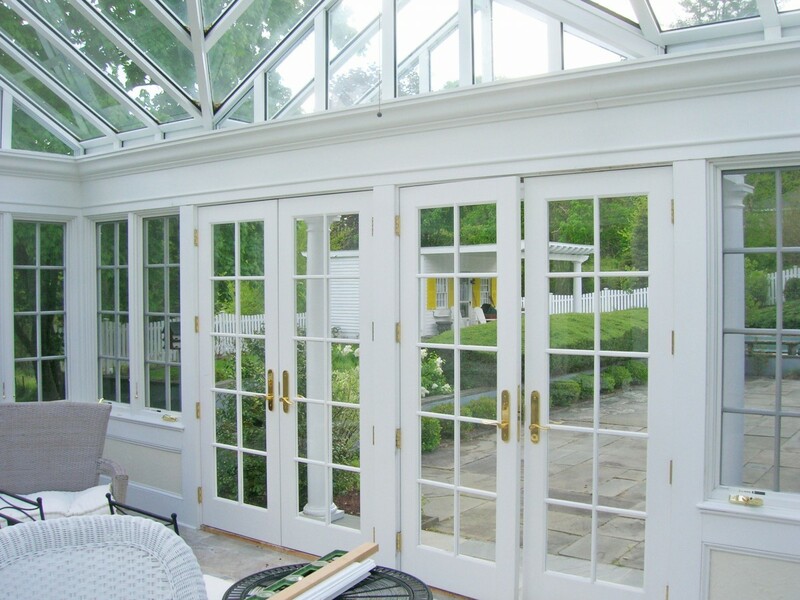 Fabricated with true divided lite wood casement windows and a French door set on a raised panel base wall with columns to match. 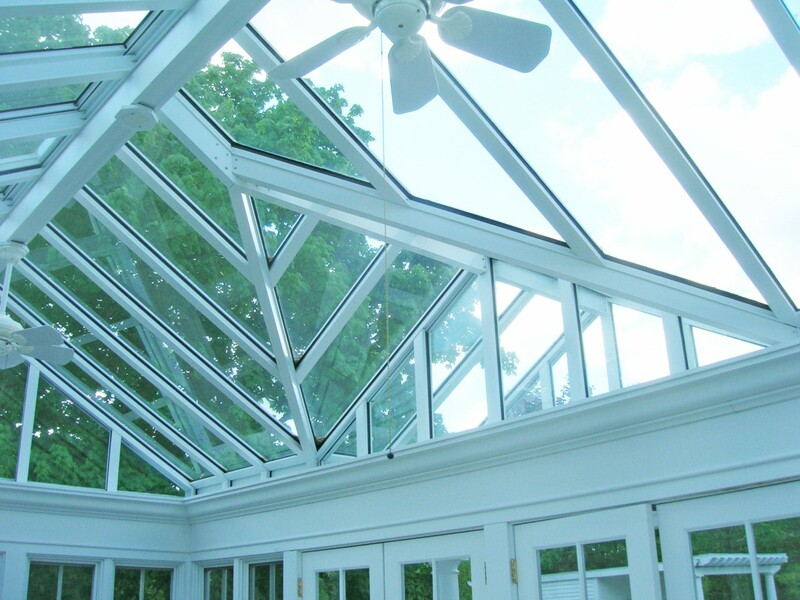 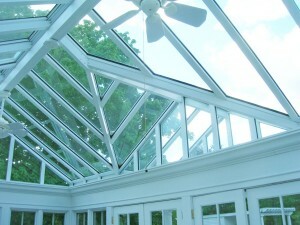 The roof system is thermally broken aluminum framing with operable roof vents and custom finials.